2012 Publisher- Grafton and Scratch Publishers. Title to be released Twas The Night Before Christmas. Edited by Santa Claus for the Benefit of Children of the 21st.Century . As the publisher I was compelled to act on Santa's wish that the reference to smoking a pipe simply drop from the pages to protect young readers from nicotine use. A childrenâ€™s advocate and smoking cessation coach, Pamela McColl is releasing a smoke-free version of the classic Twas The Night Before Christmas. McColl also hosts an online peer group for smoking cessation through www.depressionrecoverygroup.com entitled â€œYou Can Stop Smoking Nowâ€ and blogs through the associated website www.youcanstopsmokingnow.com. She has a special interest in maternity and smoking cessation and previously was a labor support doula and prenatal yoga instructor. Campaign (www.smokefreemovies.com), helping to put pressure on the film industry to rid its movies of scenes connected to smoking. She also successfully contributed, with a letter-writing campaign, to the movement to convince Major League Baseball to remove smokeless tobacco from the game. She is the publisher of seven books, including Pacific Spirit: The Forest Reborn, which United States Senator Frank Murkowski, the chair of the Senate Committee on Energy and Natural Resources, labeled as â€œone of the most important works on forest managementâ€ in recent years. The Canadian has been featured in major media in her country, including Macleanâ€™s magazine, CBC Radio, and National Canada AM-TV. Her diverse career includes previous experience in publishing, as a health care worker with Canadian Mental Health and as labor support doula. Her early career was spent the field of costume design for film and theatre and she attended the National Theatre School in Montreal Quebec and worked at the Stratford Festival in Ontario and the CBC. 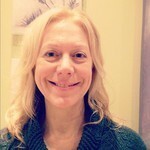 The Vancouver resident earned a BA in History/Sociology attended Queenâ€™s University, The University of Manitoba, and did postgraduate work in Theatre History at the University of Victoria, she returned to study as a mature student in the faculty of Womenâ€™s Studies at the University of British Columbia and holds certification in Peer Counseling. Most recently she has trained with the Legacy Maternity in Brief Tobacco Intervention. McColl, age 54, has 23-year-old twin daughters (neither of whom smokes). Independent Book Publishers Association of America. A collection of essays and articles from parties that oppose increasing the availability of and access to cannabis. More than twenty individuals come together in this publication to share their thoughts, the reputable science, and the facts that support their central argument that legalization would increase use by youth and pose risks that are not worth taking. The move to advance legalization is addressed from a pivotal question in the debate: How do we reduce the use of marijuana by youth? This important question is the priority facing policy and decision makers given the solid science on the consequences of use by a youth population. 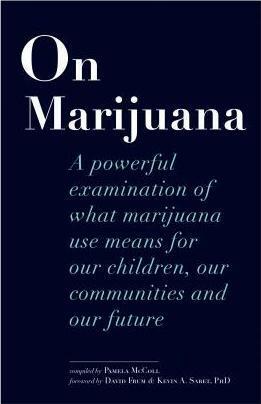 Individuals contributing to this work come from the world of academia; the professions of law, medicine, and public health; and law enforcement; along with individuals and advocates associated with public health initiatives to fight the commercialization of marijuana in the United States, Canada, the UK, and Australia.